His earlobe fell in the deep is a profound indication of the B-52s inner sanctum, a legacy of unwashed b-movie soundbites that the Athens party pioneers thrive on. Before the release of cult hit Rock Lobster, the B-52s brought their retro juggernaut into Chicago. This early show promises a set of hedonistic abandon as the girls gasp, grunt and grind in toxic sexual suggestive sleaze. The band brought their retro juggernaut into Chicago in early January 1978 with an electrifying brand of spoof new wave and sci-fi, surf punk. It's "Hello chicken!" and off we go to Planet Claire, where no-one dies, the air is pink, the trees are red and nobody has a head. Welcome to 1978 with the B-52s!! 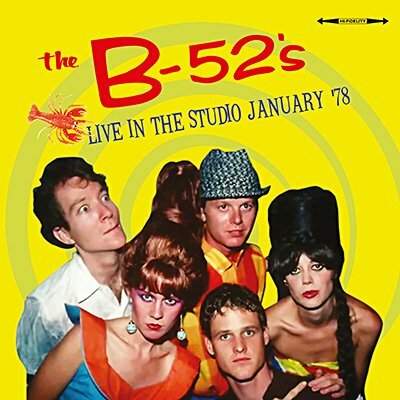 Interference proudly presents the entire original WSAI - FM broadcast of the B-52s live from Chicago on 1st January 1978. Professionally re-mastered original broadcast with background liners and rare archival photos!